The global architectural, engineering consultants and other related services market is further segmented based on type and geography. By Type - The architecture, engineering consultants and other related services market is segmented into engineering services, architectural services, laboratory testing services, surveying & mapping services, building inspection services, geophysical services, drafting services among these segments, the engineering services market accounts for the largest share in the global Architecture, Engineering Consultants And Other Related Services market. By Geography - The global architecture, engineering consultants and other related services is segmented into north america, south america, asia-pacific, eastern europe, western europe, middle east and africa. 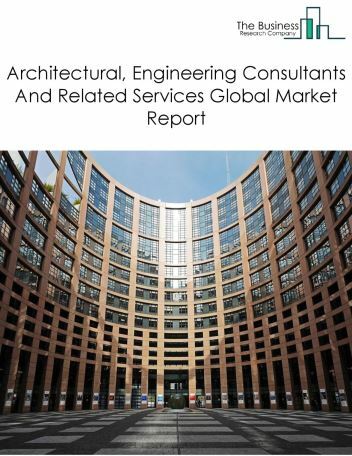 among these regions, western europe was the largest region in the global architectural, engineering consultants and related services market. Architectural/Engineering services landscape is changing rapidly due to the global sourcing opportunities and increasing internet penetration. Online crowd sourcing enables customers to submit requirements online and architectural, engineering service providers to send design ideas and plans to customers directly. Once the customer select a plan and design, they receive further customization based on their specific requirements. For instance, Arcbazar and competition line offers architectural services to customers online through its crowd sourcing platform. Potential Opportunities in the Architectural, Engineering Consultants And Other Related Services Market With increase in economic growth, rapid urbanization and globalization, the scope and potential for the global architecture, engineering consultants and other related services market is expected to significantly rise in the forecast period.